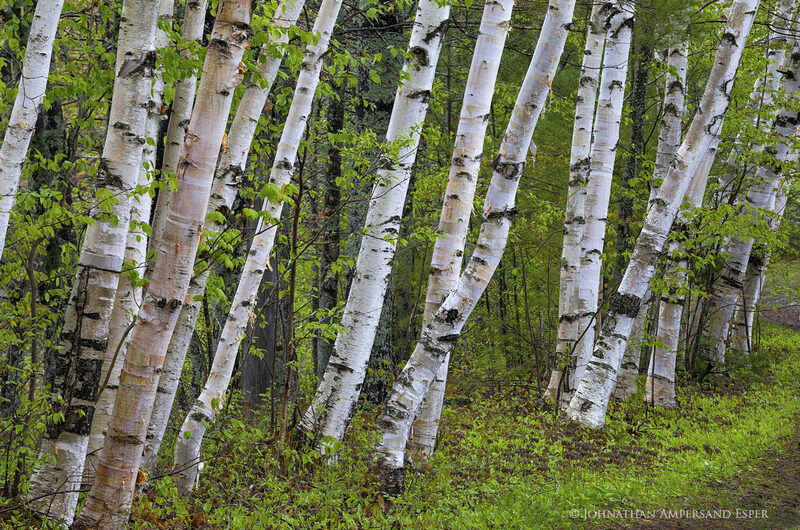 Lake Durant shoreline white birches on wet spring day in 2017, focus stacked so all birches are in focus. A square version, or a more panoramic crop version of this scene are available on request. Photo © copyright by Johnathan Ampersand Esper.